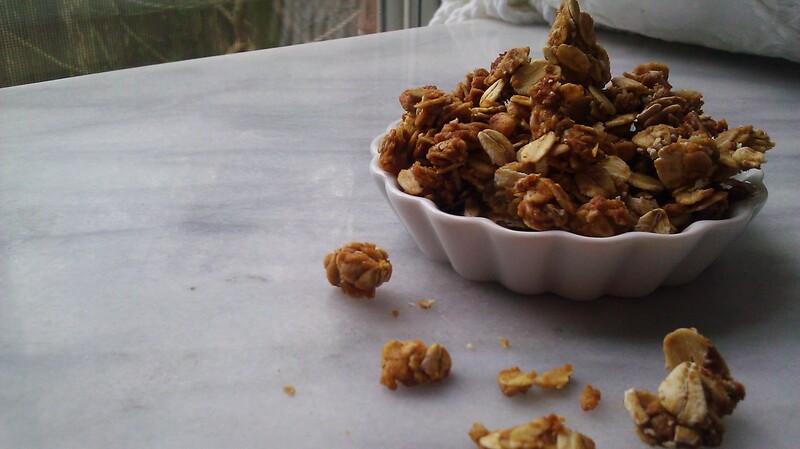 Peanut Butter Granola | happyspinach etc. 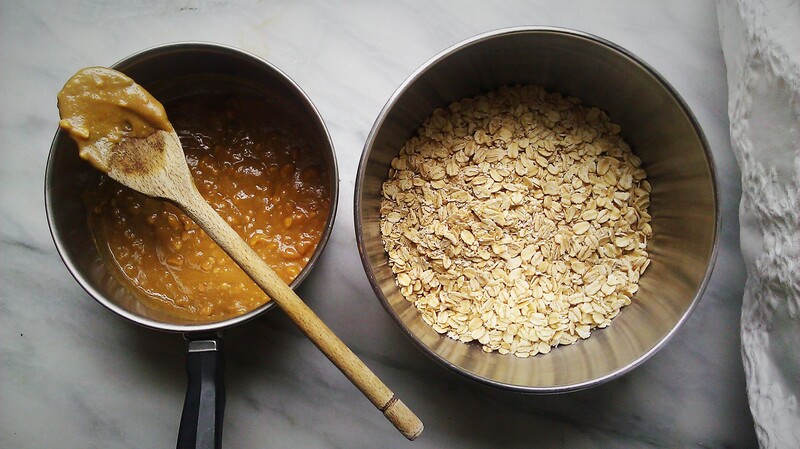 One thing that I seem to eat all the time, yet I’ve never bothered to post is a recipe for granola. 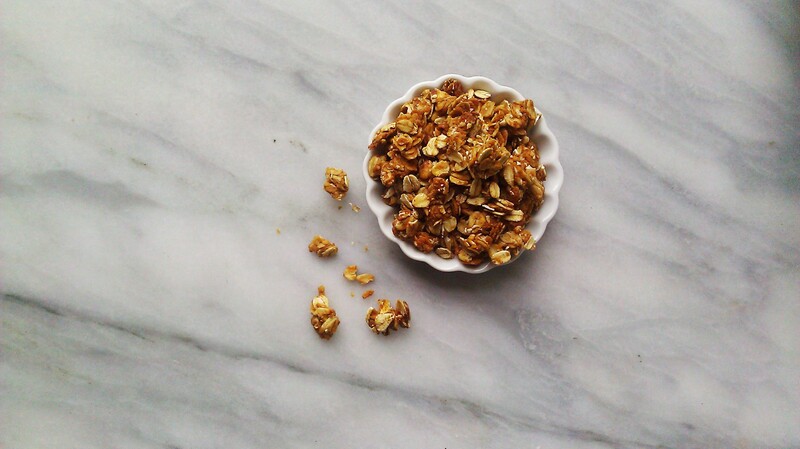 I love homemade granola–it’s great for snacks, dessert, breakfast, a meal… It’s delicious stuff, and I am also a complete nut-butter addict. Anywho, I’m keeping my post short today (I’m afraid that’s how most of them will have to go until things quiet down), so enjoy the pictures, dolls! Adapted from Cooking Classy’s recipe. Preheat your oven to 325 degrees F with the rack in the center of the oven. Line a baking sheet with parchment paper and set aside. 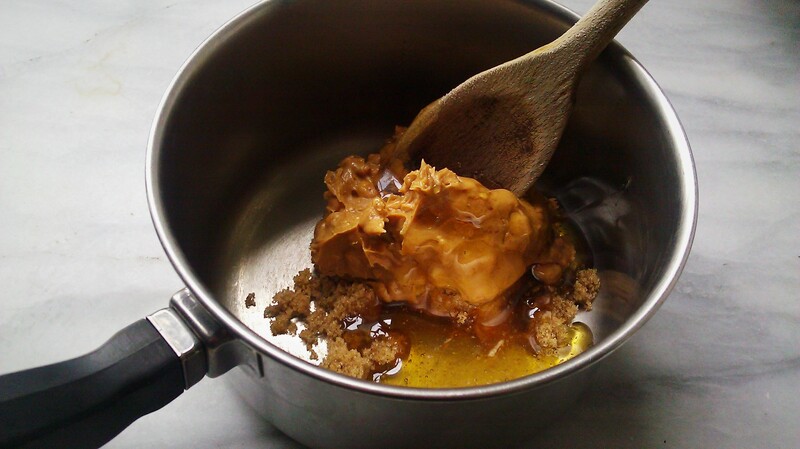 In a small saucepan, combine the peanut butter, sugar, honey, and salt. Set over medium heat and warm until runny, about 3 minutes. 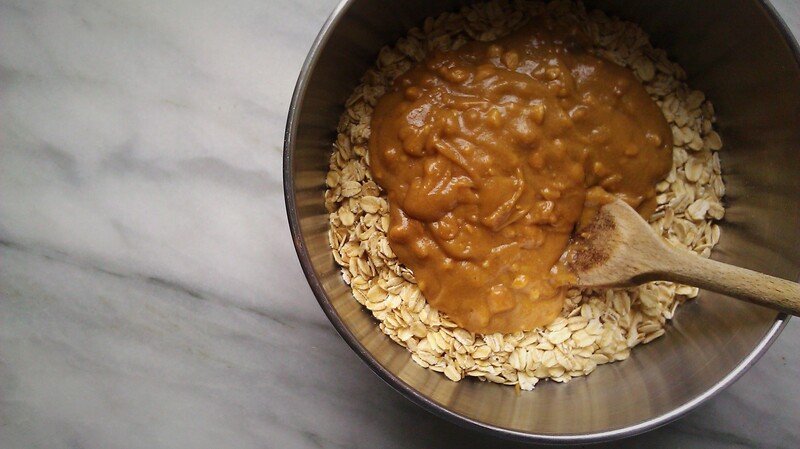 In a small bowl, pour in the oats; pour the runny peanut and honey mixture over the oats. 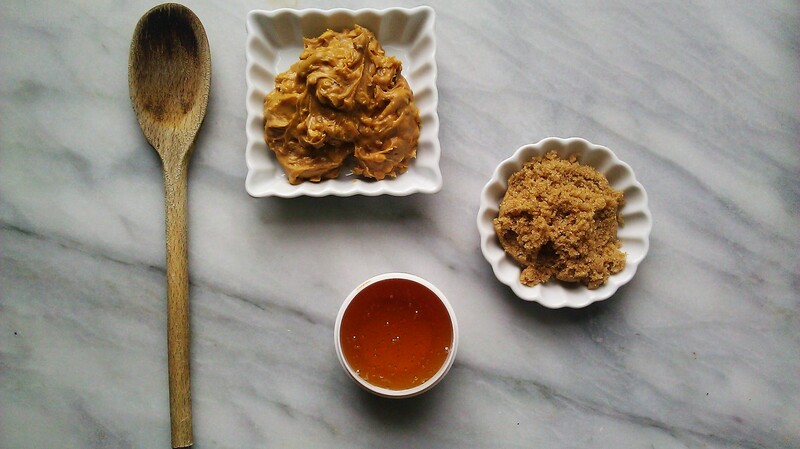 Using a wooden spoon, mix well until evenly combined. Spread out on the baking sheet and bake in the preheated oven for 18-20 minutes, stirring halfway through. 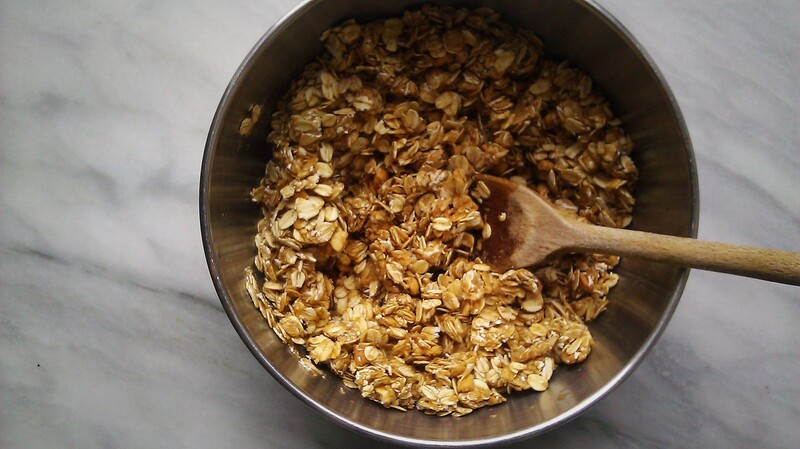 Once the granola is done, pull it out of the oven and sprinkle evenly with the fine flake sea salt. Let cool completely without disturbing and store in an airtight container for up to one week. 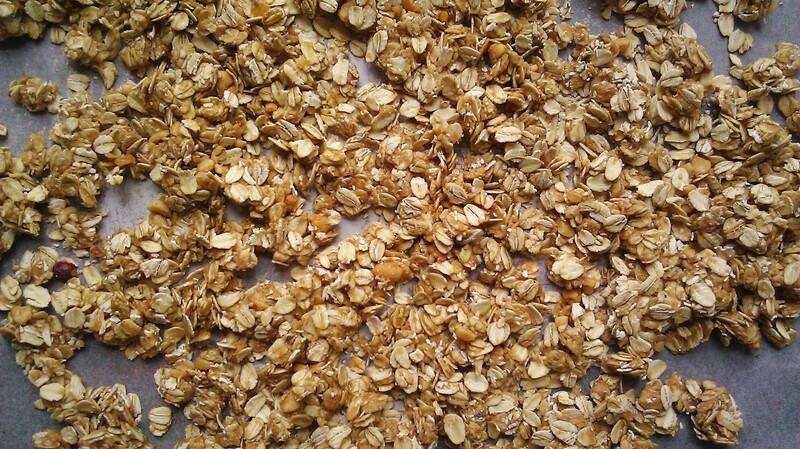 This entry was posted in Breakfast, Nuts, Oats and tagged granola, honey, peanut butter. Bookmark the permalink.